This cracking grass is happiest in a lightly shaded spot (ideally where it gets morning sun, but shade during the hottest part of the afternoon) where its golden foliage will really shine. 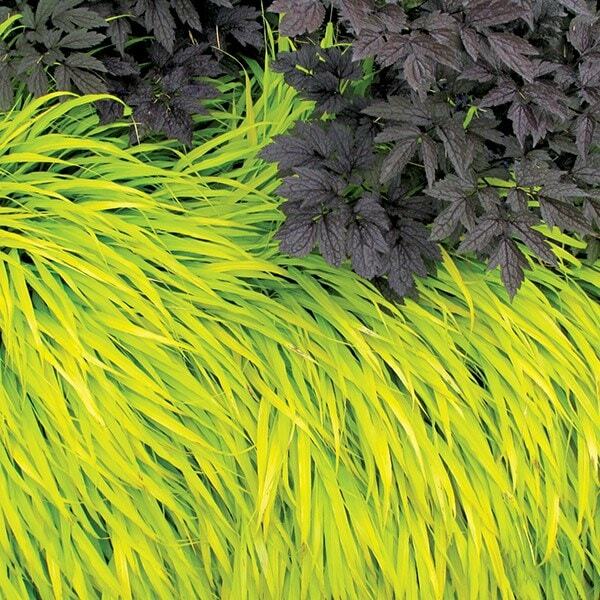 It does tolerate sunnier conditions, but the foliage colour is less luminous, turning a more lime green in full sun. 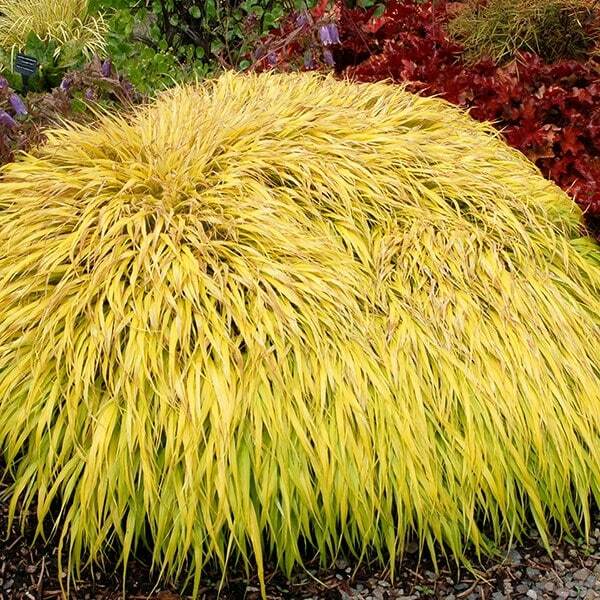 One of the best for forming low groundcover, it looks great planted in big numbers, as well as softening the edges of a pathway or border. It also works really well when potted up on the patio. Garden care: Incorporate lots of well-rotted garden compost into the planting hold. Leave flower heads to dry out through the winter, adding valuable texture to plantings. Apply a light mulch (3cm) of well-rotted garden compost after cutting back old foliage and before new growth emerges in spring. Hello, The best time to move it would be while it is dormant - so from late autumn to early spring. 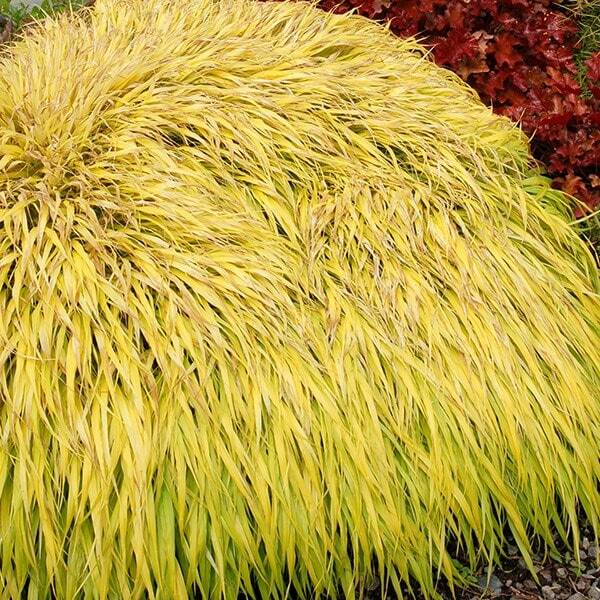 Can I plant Hakonechloa in the Autumn or is it best to leave until Spring? Hello, This grass is fully hardy, so it can be planted now. I would only wait until the spring if your soil stays very heavy and wet in the winter.